INSPIRE YOUR WORLD WITH 24 BOOKS TO READ IN 2019! 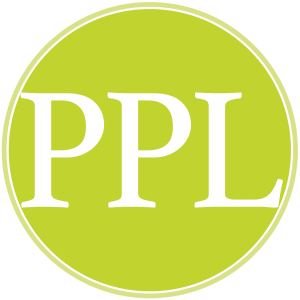 The PPL Reading Challenge is a year-long opportunity to push yourself to explore new topics, formats, authors, and genres while having fun with your reading list. We have selected 24 book prompts and we challenge you to read one book from each category throughout the year. That’s just two books a month – will you accept the challenge? It’s not a test or a competition – nobody except you is keeping score – so what have you got to lose? Sign up, download the 2019 list, and check off books as you go. 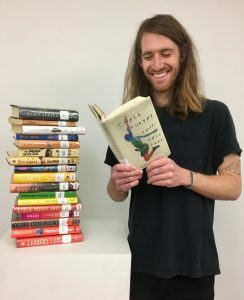 Connect with our Reader’s Advisory staff for book suggestions at (207) 871-1700 x705 or readersadvisory@portlib.org – and check out these curated booklists for inspiration. If you like talking about books and hearing about what other people are reading, join our Facebook Reading Challenge Group to connect with other Portland Readers and share your reading journey. 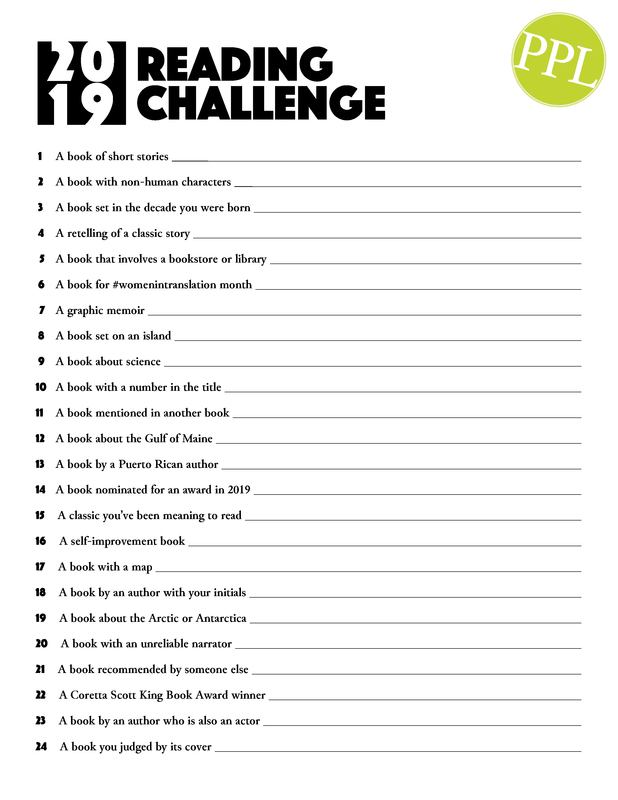 You can also share your progress throughout the year on Instagram or Twitter with #PPLreadingchallenge. WE LOOK FORWARD TO READING WITH YOU ALL YEAR LONG!